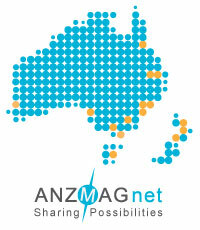 ANZMAG encourages anyone working in, or interested in any field of magnetic resonance to join the society, and welcomes international members. Annual membership subscriptions are A$20 for full members and A$10 for students - because of the two-year ANZMAG conference cycle, two-year memberships are the default option. Attendance at the ANZMAG conference ensures automatic membership. Members are entitled to reduced conference registration fees and will receive notification of forthcoming events via the ANZMAG email list-server.